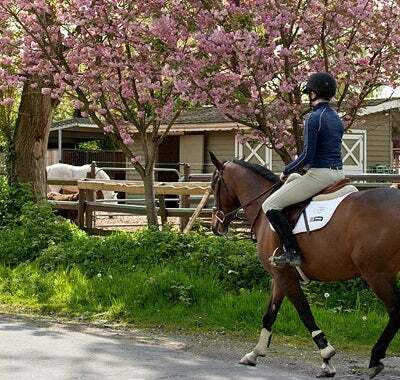 Vancouver’s equestrian community is situated on the Fraser River in the very south-west corner of the City, in a neighbourhood called Southlands. This area is well known for its gardens and tree-lined streets, which often arch across the entire roadway. Southlands is predominantly acreages with multi-million-dollar mansions dominating the land. Although the busy downtown core is less than 5 miles away, a walk in Southlands will reveal open vistas and meadows where horses and other animals graze. The area also boasts a number of public and exclusive private golf courses, such as the Point Grey Golf & Country Club and McCleery Golf Course. You won’t find much in the way of shopping malls or nightlife here but there are plenty of golf courses and garden nurseries to entice locals out of their mansions. Southlands is a place for those who enjoy hiking, biking and most of all horseback riding. Southlands is horse heaven for those who like to ride and the area boasts several stables and riding-related businesses. It’s a great combination of having an active, outdoor lifestyle within a private and more personal neighborhood with in the city.